If you expect more than just service – contact us! We are a full service moving company that specializes in providing personal service to our customers. Our many years of experience in the national and international moving business speaks for itself. We hire professional. This ensures high quality work for our customers. 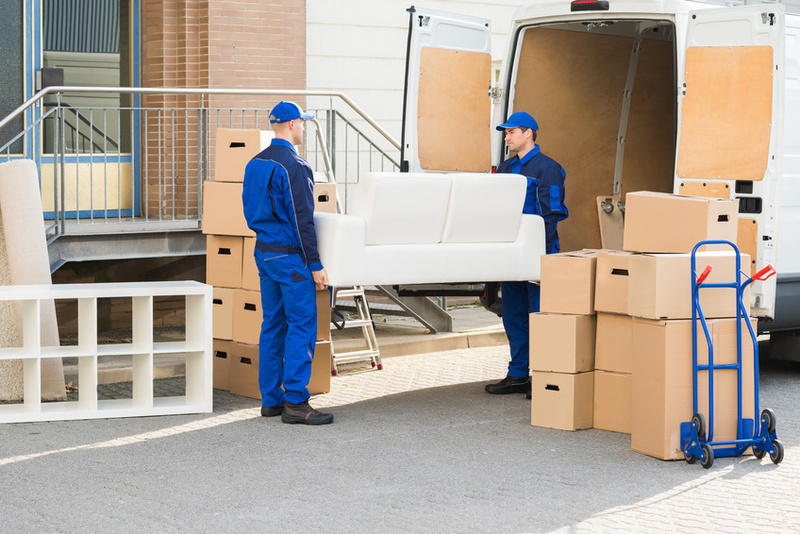 Moving can be a challenge and you can count on us to assist you in finding solutions to your challenging problems. Rest assured your personal belongings are in secure hands with G&G. Our 6800m² of grunds and 2000m² of warehouse are fenced and monitored with 24hour video surveillance. In addition, all buildings are separately locked to prevent unauthorized entry. Vehicle safety and security is very important to us. Only authorized Mercedes service mechanics maintain our fleet and our vehicles are locked and secured within the compound daily. Only minutes from both the A6 and A62, our central location allows us to quickly respond to our customers needs. Our close proximity to Ramstein Air Base is no coincidence. We consider the US Military as our largest international business partner. Security and safety is top priority of our highly trained personnel. Our service starts with your first phone call. Together we will determine the best method for your shipment. Let us do the work from packing to delivery to re-assembly of your goods. Our job does not end with packing and crating your property. We will take care of customs clearance for you. Annoying formalities are not your problem. If you are travelling to the United States, Australia or China, we offer the best mode of transportation by ship or airplane. If you want delivery to the entrance harbor, inland terminal or directly to the new residence (door to door), we have the knowledge and know the requirements. Even at destination your are not on your own. Our competent partners will take over and continue to assist you. With us, you will have a strong dependable moving partner at your side around the globe. Most important part of any move is the packing. Whether you need to move antiques, fine china or your children's toys, we have the highest quality packing materials available for your goods. We gladly will make the best and proper packing material available to you (white paper, bubble wrap, corrugated cardboard, etc.). We will contact you shortly in connection. Should we have created on this site links to other sites on the Internet, so we have no influence on all links. Therefore, we dissociate ourselves from all contents of the linked pages. This statement applies to all links attached on this site links and all contents of the pages to which banners might lead. All rights reserved. Text, images, graphics, animations and videos are protected by copyright and other intellectual property laws. The content of this website must not be copied, processed or reposted. Errors and changes excepted.